In an arid country like Pakistan, water in the form of rivers, glaciers and groundwater is life – it is what gives us sustenance. When there is too little, we have droughts, and when there is too much, we have floods. This is how it has been for centuries in this part of the world, and it remains how it is in Balochistan, home to the 7,000-year-old Mehrgarh civilisation. Pakistan’s largest province is currently in the midst of a drought, and yet some districts have been flooded as well. 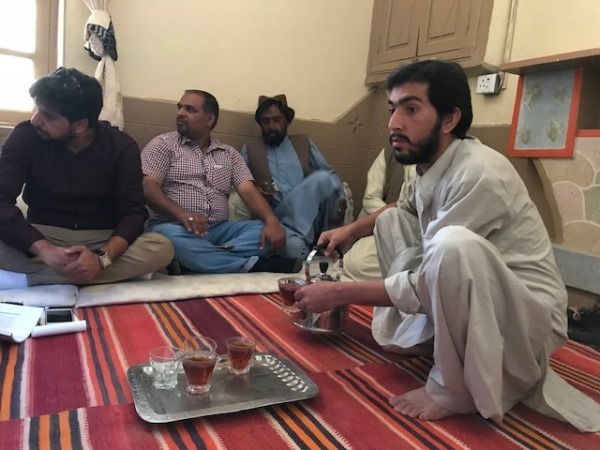 I was part of a group of journalists from Islamabad who recently went to Quetta on a trip courtesy of the Heinrich Boll Foundation, in order to find out how the local communities are coping with drought. 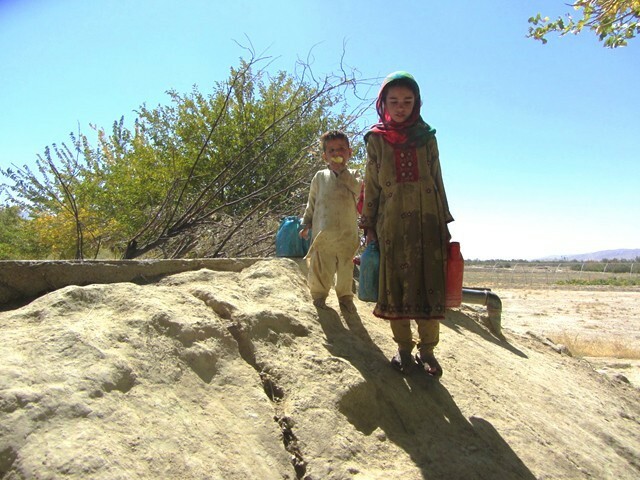 Balochistan hosts only 5% of Pakistan’s population, and those people too are sparsely spread around depleting water sources. From Islamabad, we flew over what can only be described as a lunar landscape with rugged, bare mountains, to reach Quetta. Due to years of regional instability and militancy in the area, this has been Pakistan’s most neglected province. Nonetheless, we found Quetta to be a peaceful city with bustling bazaars and clean roads. We were informed the insurgency is more or less over now, and the security situation has improved vastly. However, this province of 12 million people is now on the frontline of climate change, along with the vulnerable coastal and high mountain communities of Pakistan. This is what we were told at the office of the Balochistan Rural Support Programme (BRSP), a non-profit that is working in 25 out of the 32 districts in the province, with the help of local communities. They explained that water governance is weak, and the data regarding water resources is highly variable, which is why they need new technology to map their subsurface water. They also need to introduce sustainable irrigation systems (like drip and sprinkler irrigation) and shift to less water intensive crops like olives, instead of growing crops like apples. Most importantly, they need a series of small check dams to recharge their groundwater and revive their ancient karez system. “Water is our most precious resource,” the BRSP told us as we set off for Pishin to see the karez they had recently restored. 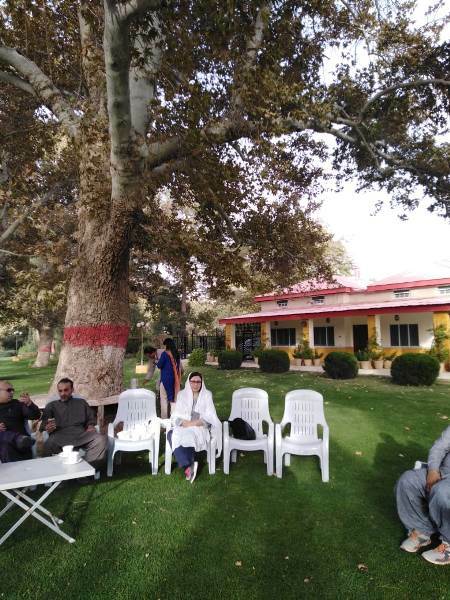 There is a famous old guesthouse in Pishin town, known for its excellent chef and a lovely garden with towering maple trees. We planned to have lunch there. I was quite excited, as this would be the first time I would actually get to see a karez in real life. It is actually an ingenious way to bring down water from natural sources deep within the hills through a series of tunnels and wells that allow for air circulation. These tunnels, dug centuries ago by the local people, have to be maintained regularly as they can quickly fill with mud and rocks. We drove to Khushab in Pishin, where a local support organisation under the BRSP is maintaining two karez. Before they took us to see one of them, they showed us a check dam under construction near the Zarghoon village. “Once completed, this will collect all the rainfall (from the hill torrents) and store it. The reservoir will then recharge the groundwater in this area, benefitting all the four villages and 800 households in this area,” explained Akbar Tareen, the district programme manager for the BRSP. The local villagers grow apple and apricot trees and plant tomatoes and onions. We were told that the groundwater has gone down to 1,000 feet here, and they hope it moves up to 400 feet eventually when the dam is filled during the coming winter rainfall. “We need these kind of dams everywhere in Balochistan,” Tareen told us. 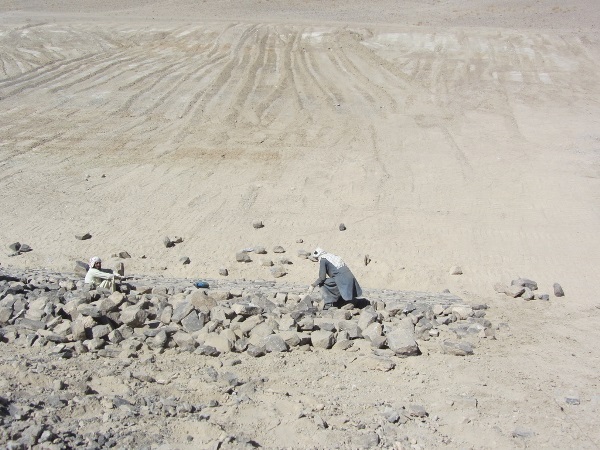 He added that this dam only cost Rs21 lakhs, with the community providing free labour in lining the walls with rocks. A tube well, we were told, costs between Rs20-25 lakhs, so the former is a much more sustainable and affordable option. 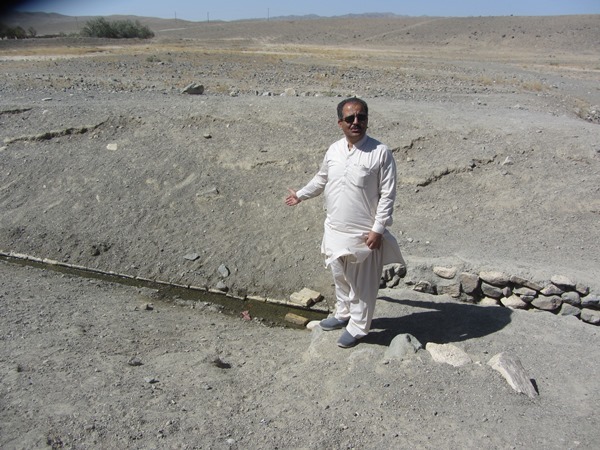 Another benefit of the dam will be stronger water flows in the karez located nearby in the settlement of Murgarki. We walked from our car to the hills to have a closer look, and the first thing I noticed was a large tree growing in the bleak, dusty landscape. 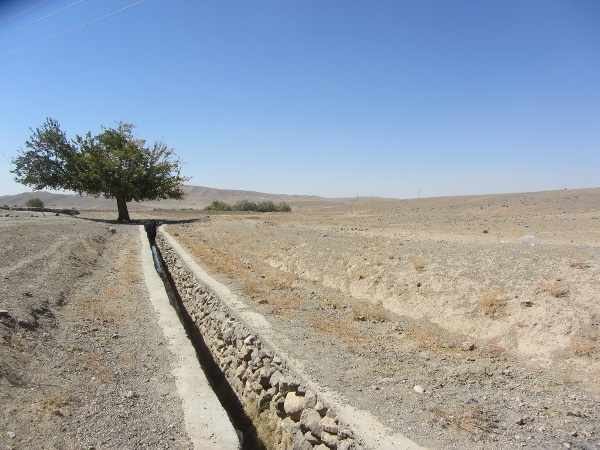 Its roots received water from the karez and provided shade to those who come from afar to fetch water. We examined the narrow water tunnel as it came out of the ground and onto the surface. The water was cool; we were told it is full of minerals and is good drinking water. 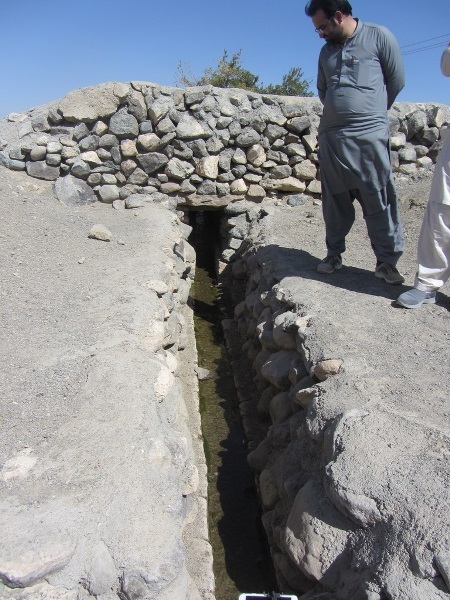 The local community maintains the karez; a difficult job, as someone has to climb into the wells and tunnels below to clean them. 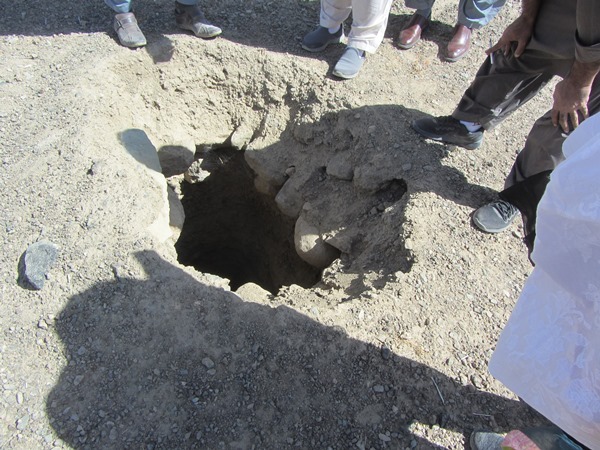 We were told by the local community that there used to be 32 karez installations in this area. Now, only two are functional, including the one we visited, which is around 200 years old. 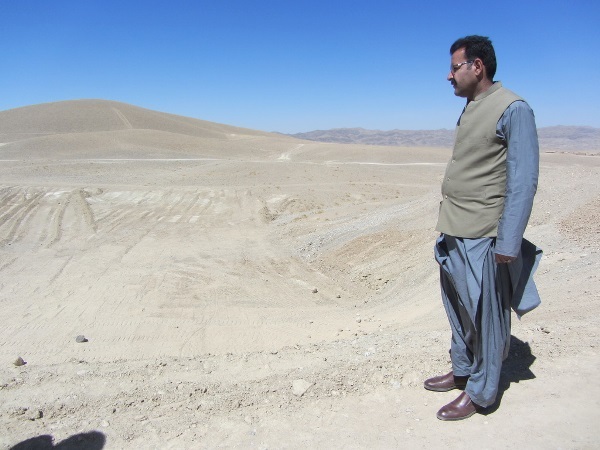 Nadir Baloch, who heads the BRSP, later informed us that most of the karez in Balochistan have dried out due to groundwater depletion. The karez system has been tried and tested for thousands of years and given the threat of climate change, particularly in a land like Balochistan, it is now more relevant than ever. 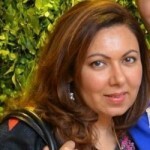 Another stellar article, by the foremost environmentalist of Pakistan. tech. language. Easy to understand.